The Tony Hillerman Prize for best first mystery has become one of my favorite annual contests because of the quality of debut authors it has launched. The crime fiction that wins the Hillerman Prize is set in the Southwest and honors the spirit of those wonderful mysteries that Hillerman wrote. The latest winner of the contest is Kevin Wolf, who is a member of Rocky Mountain Fiction Writers and Crested Butte Writers. He lives in Littleton, Colorado, with his wife of 40 years and their two beagles. 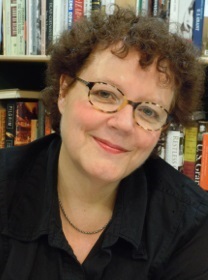 Wolf’s novel The Homeplace will be published during 2016. Wolf joins an elite group of writers. 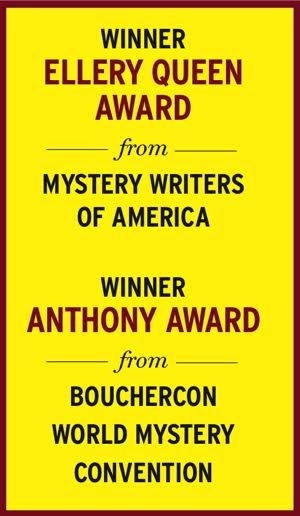 Previous winners include John Fortunato’s Dark Reservations; CB McKenzie’s Bad Country, which was nominated for a 2014 Edgar Award; Andrew Hunt’s City of Saints; Tricia Fields’ The Territory; Roy Chaney’s The Ragged End of Nowhere; and Christine Barber’s The Replacement Child. I have found the authors who take the Hillerman Prize write such affecting plots that capture the scenery so well. Many of their novels have made it to my best-of-the-year list. Thomas Dunne Books/Minotaur Books and Wordharvest co-sponsor the award that is given annually at the Tony Hillerman Writers Conference in Santa Fe, New Mexico. Hillerman’s Joe Leaphorn/Jim Chee mysteries were set on the Navajo reservation and are considered to be the first "regional" mysteries to become national bestsellers. Hillerman’s novels combined Navajo traditions and beliefs in contemporary plots. His books have been translated into many languages and frequently make the New York Times bestseller list. Hillerman died at age 83 on October 26, 2008. Hillerman’s daughter, Anne Hillerman, brought back Leaphorn and Chee in her 2013 novel Spider Woman’s Daughter; her novel Rock With Wings was published this year. Anne Hillerman launched the first Tony Hillerman Writers Conference, Focus on Mystery, in 2004 through Wordharvest, the business which she co-founded with Jean Schaumberg. For more information about the Hillerman Prize, please visit http://wordharvest.com/contest/. Reality Infuses Julia Keller's "Last Ragged Breath"
Many authors weave real events into their novels, making their fiction that much stronger, and even meaningful. And the best authors use real events to complement their plot, careful not to go so overboard in reporting the facts that they lose sight of the novel. Julia Keller is one of those authors who knows how to infuse reality into a gripping novel. On February 26, 1972, the Buffalo Creek flood disaster occurred when the Pittston Coal Company's coal slurry impoundment dam, which was located on a hillside in Logan County, West Virginia, burst. Four days before, the dam had been declared “satisfactory” by a federal mine inspector. The flood unleashed about 132,000,000 gallons of black waste water, which crested more than 30 feet high over 16 coal towns along Buffalo Creek Hollow. Of the 5,000 people living in the area, 125 were killed, 1,121 were injured, and more than 4,000 were left homeless. The flood destroyed 507 houses, 44 mobile homes, and about 30 businesses. The settlement to the families was small as Pittston Coal called the accident “an Act of God” in its legal filings. And while Keller doesn’t change the facts, she makes us see the human faces that suffered because of that flood in Last Ragged Breath, the fourth in her series about prosecutor Bell Elkins. “The financial settlement was meager and most [residents] were left living in trailers,” said Keller in the Mystery Scene interview. 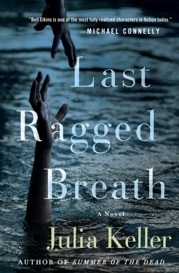 Last Ragged Breath “is my most overtly political novel—not in terms of Republican or Democratic—but in terms of social justice and what we expect of our elected officials and of corporations and their responsibilities to the community,” said Keller. Last Ragged Breath gives Keller a chance to reflect on social justice. “Buffalo Creek was such an egregious case of corporation malfeasance. It’s the same kind of thing we still deal with today when we talk about social justice and the responsibilities of corporations to the communities in which they are set. Buffalo Creek was a perfect poster incident of that,” said Keller, who is working on her fifth novel in the series. First, to all our readers, Happy Thanksgiving. We at Mystery Scene are thankful for each of our readers and look forward to giving you more insight into the genre as we move into 2016. May your Thanksgiving—and upcoming holidays—be filled with happiness. And that brings us to what to give people on your gift list. With Black Friday and Cyber Monday, many of you will be checking that list and trying to figure out what to give people. If you have readers of the mystery genre on your list, we have some good suggestions. Check out Mystery Scene’s monthly reviews if you are looking for book to give. I also review for other venues so Google my name for more suggestions. FOYLE’S WAR: THE COMPLETE SAGA: I don’t think there has ever been a better series about life in England during and immediately after WWII. Excellent acting from Michael Kitchen as Christopher Foyle, a police detective who solves crimes during WWII and then uses his talents at MI5 during the Cold War. The series never shied away from showing how people respond with both good and bad intentions during the war, allowing their prejudices to override their common sense. And death often came into the picture when viewers least expected it. Adding to the terrific performances are Foyle’s driver, Sam Stewart (Honeysuckle Weeks) and DS Paul Milner (Anthony Howell). They were aided throughout the series by guest stars such as Rosamund Pike, James McAvoy, Charles Dance, David Tennant, and John Mahoney. Though set in England, the concerns of anyone who has lived through a war are relatable. Foyle’s War: The Complete Saga is a collector’s edition contains all 28 episodes of the series on 29 discs, plus 6 hours of bonus features. It is $199.99, visit AcornOnline.com. The entire series is also available to stream anytime on Acorn TV at www.Acorn.TV. The set also includes a retrospective called Foyle’s War Revisited; interviews with series writer and creator Anthony Horowitz and stars Anthony Howell and Honeysuckle Weeks. There are also making-of documentaries, behind-the-scenes features, and a look at the era in which Foyle’s War is set. A 16-page collector’s guide includes episode synopses, character profiles, and reflections about the show. REBUS: THE KEN STOTT COLLECTION: Ian Rankin’s series about Scotland detective John Rebus has long been a personal favorite. So I was not surprised to love the film version of this series. I could watch this all day, episode after episode, and have. Three-time BAFTA Award nominee Ken Stott (The Hobbit trilogy) stars as Detective Inspector John Rebus. The series kept the spirit—and much of the plot—of Rankin’s novels, showing the atmospheric city of Edinburgh, Scotland. The novels that translated to film include The Falls, Fleshmarket Close, The Black Book, A Question of Blood, Strip Jack, Let It Bleed, Resurrection Men, The First Stone, The Naming of the Dead, and Knots and Crosses. All four seasons of this series is on this Rebus collection that includes 10 episodes, plus bonus features, on 5 discs. 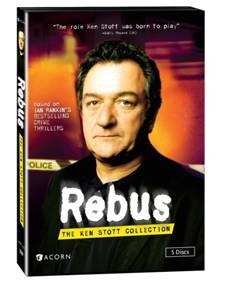 Rebus: The Ken Stott Collection is $59.99, AcornOnline.com. The entire series is also available to watch on Acorn TV, at www.Acorn.TV. RESTLESS: This is a new British thriller and I have been totally hooked since the first episode. Like Foyle’s War, it is a period piece that seamlessly moves between the 1970s and 1939 as it recounts a young woman’s discovery that her mother was recruited to be a spy during WWII. Restless is based on the bestselling spy novel by William Boyd. Ruth Gilmartin (Michelle Dockery) is stunned to learn that her mother, Sally (Charlotte Rampling), has been living a double life. Her real name is Eva Delectorskaya (Haley Atwell), she worked as a spy for the British Secret Service in the 1940s, and now someone is stalking her. The casting could not be more perfect—many A-list British stars who also will be familiar to American audiences. These include Hayley Atwell (Captain America, Marvel’s Agent Carter), Rufus Sewell (The Pillars of the Earth), Michelle Dockery (Downton Abbey), Charlotte Rampling (45 Years, Broadchurch), and Michael Gambon (Harry Potter films). The Restless DVD features two full-length episodes and is $34.99, visit AcornOnline.com. The miniseries is also available to watch on Acorn TV, at www.Acorn.TV. Women Crime Writers: Eight Suspense Novels of the 1940s & '50s, edited by Sarah Weinman, Library of America, two volumes, $35/$70, 1,512 pages: Who hasn’t been enthralled by the 1944 film Laura, with Gene Tierney, Dana Andrews, and Clifton Webb? But Laura in author Vera Caspary's story of the same title is a different woman. Patricia Highsmith is best known for The Talented Mr. Ripley. But her story The Blunderer in this collection echoes her other famous Strangers on a Train as a corporate lawyer trapped in an unhappy marriage considers murdering his wife after reading a newspaper article about another murderer. The works by Caspary and Highsmith, along with Dolores Hitchens, Dorothy B. Hughes, Charlotte Armstrong, Helen Eustis, Margaret Millar, and Elisabeth Sanxay Holding illustrate the range of these often-forgotten works by women writers, some of whom are neglected by today’s readers. Sarah Weinman has done an excellent job of choosing stories that will make readers want to investigate more works by these women writers. And readers also will want to have Weinman’s other compilation Troubled Daughters, Twisted Wives: Stories From the Trailblazers of Domestic Suspense. Full disclosure: I consider Weinman a friend and have been on several panels with her. 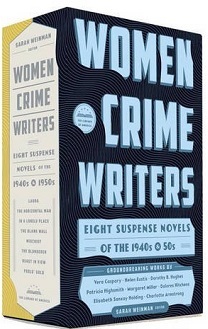 Even if I didn’t know her, I would still recommend Women Crime Writers: Eight Suspense Novels of the 1940s & '50s. Nancy Drew Mystery Stories Books 1-4, Grosset & Dunlap, $31.96, 768 pages: This beautiful box set is perfect for both the adult and the child on your list, maybe even encouraging a marathon reading between the two. More sets will be coming—for future gift giving! The covers are beautiful and are like the covers when the series was first published. As for the plots, hey, you all know Nancy Drew. Cocktail Noir: From Gangsters and Gin Joints to Gumshoes and Gimlets, Reservoir Square Books, $24.99, 256 pages: Part nonfiction, part cocktail recipe cookbook, this slim book covers the drinking habits of gangsters and detectives—real and fictional. The gimlet featured in Raymond Chandler’s The Long Goodbye, the scotch and soda from Woman in the Window, and the champagne bellini from While the City Sleeps as well as the drinking habits of Al Capone and Meyer Lansky. Don’t drive while reading! The Grownup by Gillian Flynn, Crown, $9.99, 62 pages. Looking for a stocking stuffer that will take the edge off all the holiday cheer and put a bit of fear in your gift giving? Gillian Flynn creates a modern-day ghost story that is reminiscent of The Turn of the Screw and far from her uber-selling Gone Girl. This novella can be read in about an hour—sometimes that’s all you need in taking a break from family. 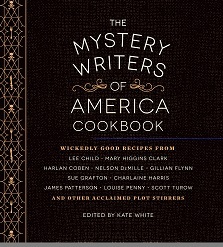 Cookbooks with a mystery theme made a delicious splash this year. I recommend Goldy's Kitchen Cookbook by Diane Mott Davidson, from HarperCollins; The Mystery Writers of America Cookbook: Wickedly Good Meals and Desserts to Die For, edited by Kate White, from Quirk Books; and The Cozy Cookbook published by Berkley. And of course, a subscription to Mystery Scene is a good gift that lasts year-round.